ack in 2004, APEC was held in the Disneyland Hotel and our conference attracted just over 2,000 attendees. Fifteen years later, we're back in Anaheim. But in 2019, we'll be meeting at the Anaheim Convention Center and we expect over 5,000 engineering professionals to participate! APEC continues to grow, every year, as power electronics continues to drive many product advances across virtually every industry. A Plenary Session on Monday, March 18 that will feature world-class presentations to keynote our week-long conference. And new this year, if you can't make to the Monday plenaries, you can watch them on streaming video, courtesy of IEEE.tv. Eighteen Professional Development Seminars on Sunday, March 17 and Monday, March 18, presented by world-class experts that are designed to bring you up to speed on critical power electronics design technologies and techniques. A Technical Program from Tuesday, March 19 through Thursday, March 21is made up of an astounding 40 Presentation Sessions plus a Dialog (Poster) event held during the Thursday hosted lunch. Over 600 high-quality, peer-reviewed papers will be presented. An Industry Session program running concurrently with the Technical Program will once again offer 23 sessions, covering the latest developments from the industry's leading innovators. Three controversial topics will be covered in our annual Rap Sessions on Tuesday, right after the exhibits close at 5:00 p.m. Grab a cool beverage and bring your questions for the panelists. A crowded exhibit hall packed with the latest power electronics products. The annual MicroMouse contest pitting teams from around the world to solve the maze the fastest with their intelligent motorized mice. A terrific social event featuring lineup of 10 acclaimed food trucks, interactive, friendly-competition games, entertainment and music by a live DJ and caricaturists and tons more of fun activities you don't want to miss brings us all together on Wednesday evening. Speaking for all of us on the APEC Conference Committee, I invite you to come to Anaheim to be part of our annual gathering. You really don't want to miss it. Check the APEC website for details (www.apec-conf.org). On the Saturday prior to the start of APEC2019, PSMA and PELS will be sponsoring two workshops, the fourth High Frequency Magnetics Workshop "Power Magnetics @ High Frequency" and the second Capacitor Workshop "The Impact of Wideband Technologies on Application of Capacitors - A Deep Dive on Capacitor Technology". For more information see the articles on each workshop in this issue of the UPDATE. 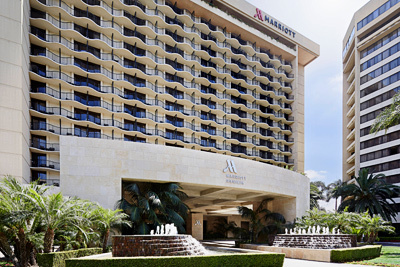 he 2019 PSMA Annual Meeting will be held in conjunction with APEC 2019 at the Anaheim Marriott in Anaheim, California on Monday March 18. A buffet breakfast at 7:30 a.m. will precede the meeting and individuals from member companies as well non-member guests are invited to attend and participate in a full agenda of topics of interest to the industry. At the meeting, you will have the opportunity to meet and interact with many of the students who received APEC Travel Support to present their papers at the Technical Sessions. Regular member company representatives will participate in the election of four Directors to serve on the PSMA Board for a three-year term beginning immediately and ending at APEC 2022. The detailed agenda for the meeting will be on the PSMA web site and will include reports from each of the technical committees and stimulating discussions on new PSMA initiatives for 2019 and beyond. The APEC 2019 Conference Chair will review the progress on APEC2019 and there will be a report on plans for APEC 2020 in New Orleans. There will also be an invited presentation from European Power Supplies Manufacturers' Association (EPSMA) to review their activities that should be of interest to PSMA members. Members and guests are also invited to remain for the Board of Directors meeting that will immediately follow the Annual Meeting. Participation in these meetings will provide you with the opportunity to network with colleagues from other companies and to influence the direction of the PSMA and the power sources industry. Another way to get more out of your company membership in PSMA is to get involved with one of our active technical committees. The Capacitor, Energy Harvesting, Energy Management, Industry-Education, Magnetics, Marketing, Power Electronics Packaging, Power Technology Roadmap, Reliability, Safety & Compliance, Semiconductor and Transportation Power Electronics committees all plan to hold open meetings during the week of APEC 2019. All are invited to participate or to just drop in any of these committee meetings to hear and provide input as the committee activities are being planned for the coming year. Visit the PSMA website to see the schedule of PSMA meetings and events at APEC 2019. On March 16, 2019, the Saturday prior to the start of APEC 2019, PSMA and PELS will be sponsoring two workshops, the fourth High Frequency Magnetics Workshop - "Power Magnetics @ High Frequency" and the second Capacitor Workshop – "The Impact of Wideband Technologies on Application of Capacitors - A Deep Dive on Capacitor Technology". Information on these workshops are available in separate articles in this issue of the Update. Be sure to visit us at the PSMA booth, in the APEC hub #539, in the exhibition area during APEC. PSMA is again sponsoring the popular PSMA/ APEC Passport Program in the Exhibit Hall. Visit the booths of participating PSMA members to enter your name into a raffle drawing. We look forward to a good turnout at the PSMA meetings and a very busy and exciting week. For the latest information on all of the activities planned during APEC 2019, visit us at www.psma.com. oil Winding Specialist or CWS started as a design center for custom inductors, chokes, coils and transformers in the early 1980s in California. Its original objective was to provide custom designs for engineers in need of inductive and transformer products in a hurry. CWS was eventually incorporated in California in 2004 and today it is staffed with professional engineers trained in power electronics and magnetic. All designs are done in our California facility. Manufacturing is done in the U.S. and China with IS0 9001:2008 Certified Quality Management System. 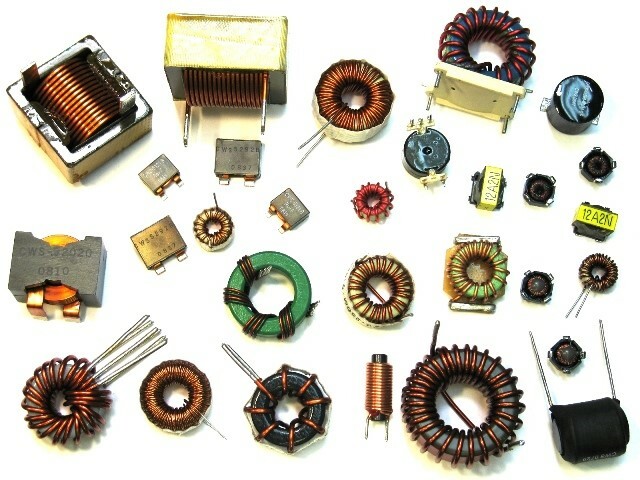 In order to fulfill the original goal of providing a fast delivery of inductive and transformer parts to the engineering community, CWS has developed more than a thousand standard off the shelf inductors, coils and transformers. Also, CWS is the only direct manufacturer in the industry that provides online ordering of magnetic parts, inductors, coils and transformers. CWS provides full service from design, prototyping, pre-production run to volume production. Our engineers have combined more than 40 years of experience in designing and manufacturing magnetic components from medical to military applications and can assist our clients with all your winding, inductor, coil, coil and transformer design needs. We will fill anything according to our clients needs. We will check your designs, test your ideas and concepts as well as build your magnetic products according to your specifications. The ORNL quad and visitor's center. 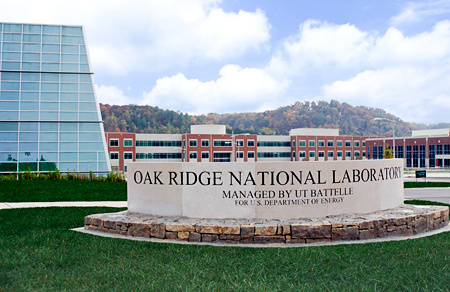 ak Ridge National Laboratory (ORNL), which celebrated its 75th anniversary in 2018, provides exceptional researchers with sophisticated equipment and unique facilities to solve some of the nation's most compelling challenges. As the largest US Department of Energy (DOE) open science laboratory, ORNL's mission is to deliver scientific discoveries and technical breakthroughs that will accelerate the development and deployment of solutions in clean energy and global security while creating economic opportunities for the nation. ORNL's diverse capabilities span a broad range of scientific and engineering disciplines, enabling the Laboratory to explore fundamental science challenges and to carry out the research needed to accelerate the delivery of solutions to the marketplace. Security—We develop and deploy "first-of-a-kind" science-based security technologies to make the United States, its critical infrastructure, and the world a safer place. Nuclear—We advance the scientific basis for 21st century nuclear fission and fusion technologies and systems, and we produce isotopes for research, industry, and medicine. Partnerships with other research institutions, universities, and industry are a vital resource for maximizing ORNL's impact. ORNL leads two major multi-institutional partnerships for DOE: the Center for Bioenergy Innovation, one of four DOE Bioenergy Research Centers, and the Consortium for Advanced Simulation of Light Water Reactors, a DOE Energy Innovation Hub. ORNL is also the lead institution for two DOE Energy Frontier Research Centers and hosts the project offices of two major DOE initiatives: the Exascale Computing Project and the US contributions to the international ITER fusion project. Partnerships with academia help to build a robust pipeline of scientific and technical talent for the nation. ORNL and the University of Tennessee employ more than 250 joint faculty, including 14 Governor's Chairs recruited on the basis of their leadership in their fields, and have enrolled 221 students in the Bredesen Center for Interdisciplinary Research and Graduate Education since its founding in 2010. Industry and technology transfer partnerships increase the Lab's economic impact, speed deployment of ORNL-developed technologies, and strengthen innovation ecosystems regionally and nationally. The laboratory held 746 patents from October 1, 2007 through September 30, 2018. It has some 150 active licenses of its technological developments in place with industry. 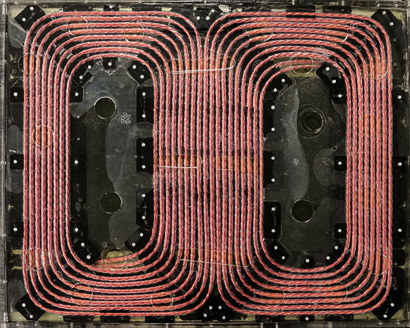 ORNL developed new coil designs for fast, wireless charging of electric vehicles. A new power inverter for solar power installations packs more energy into a smaller package and makes use of 3D printed component. Producing actinium-227 to meet the demand for an effective FDA-approved drug to treat prostate cancer. Restoring the nation's ability to produce plutonium-238 for deep space missions. Developing a renewable 3D printing material made with the biorefinery by-product lignin. Discovering an electrochemical process that converts carbon dioxide directly into ethanol. Controlling photons to bring about quantum states and expand the information-processing capabilities of quantum computers. Demonstrating wireless power transfer in the PEEM Lab. 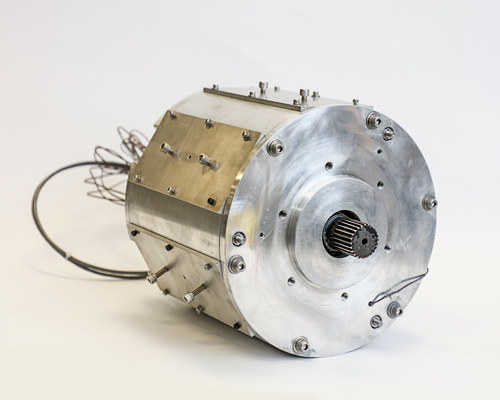 An EV motor developed at the PEEM lab achieved 75% higher power than a comparably sized commercial motor, using ferrite, iron-based magnets instead of expensive rare earth permanent magnets. 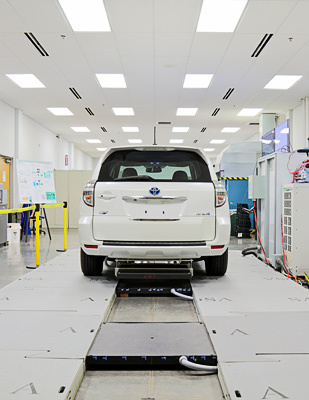 The Power Electronics and Electric Machinery (PEEM) Research Group, part of the National Transportation Research Center at ORNL, is a premiere resource for the U.S. Department of Energy's power electronics and electric machinery research. 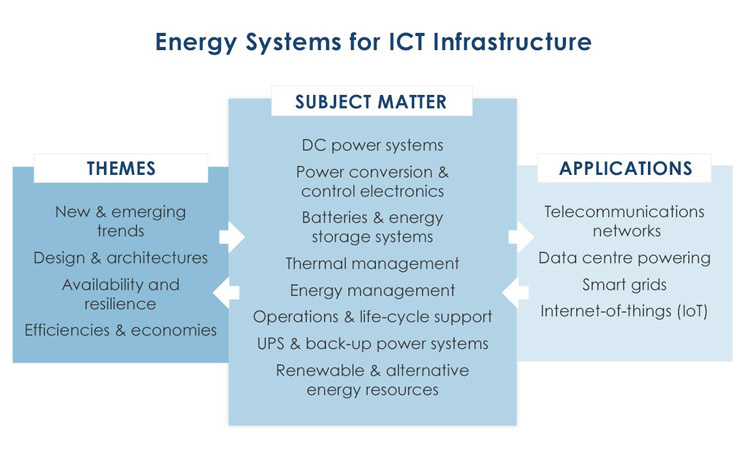 Recent activities in the grid, automotive, and renewables research have driven advances in wireless and wired power charging, power inverters and converters, efficient motor control technologies, compact electric motors, and packaging. The Group's activities cover all these areas from invention to analysis, modeling, simulation, to in-house evaluation and prototyping of components. 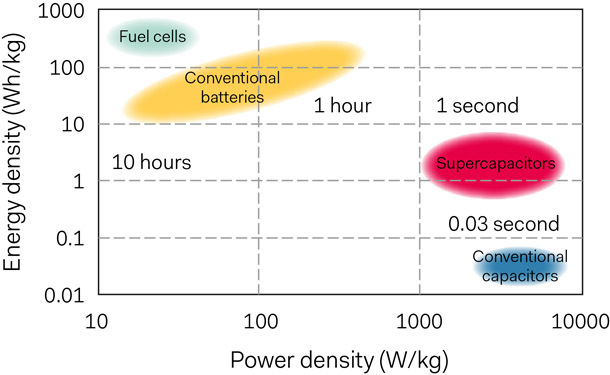 Recent accomplishments include a 120-kW wireless charging system that achieves 97% efficiency, a new toolkit for electromagnetic devices to accelerate motor design, the world's first demonstrations of bi-directional wireless power transfer between a building and a vehicle, and 3D-printed inverters for vehicle and renewable energy applications. The PEEM Group at ORNL provides science and technology innovations in power electronics and electric machinery from concept to implementation through transformational broad-based research that impacts affordable clean energy solutions for transportation, grid, and renewables. PEEM provides a broad-based capability and an extensive list of equipment to build and evaluate power conversion circuit prototypes in-house starting from bare die. 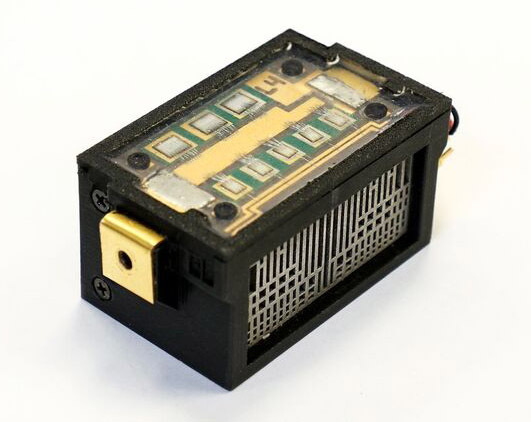 On the motors side, PEEM does research on electromagnetic characterization of motor materials, modeling and design, in-house prototyping and evaluation. There are many ways to work with ORNL, including a cooperative research and development agreement, a strategic project partnership agreement, or a user agreement under DOE's User Facility program. Each agreement is developed based on a user's desire to protect research results or inventions. Editors Note: We would like to feature your company in a future issue of the Update. Please contact the Association Office for information about how to submit an article for consideration. We are pleased to welcome 4 new member companies this quarter. We hope your company is a member. To learn about the benefits of membership, please visit our web site www.psma.com. 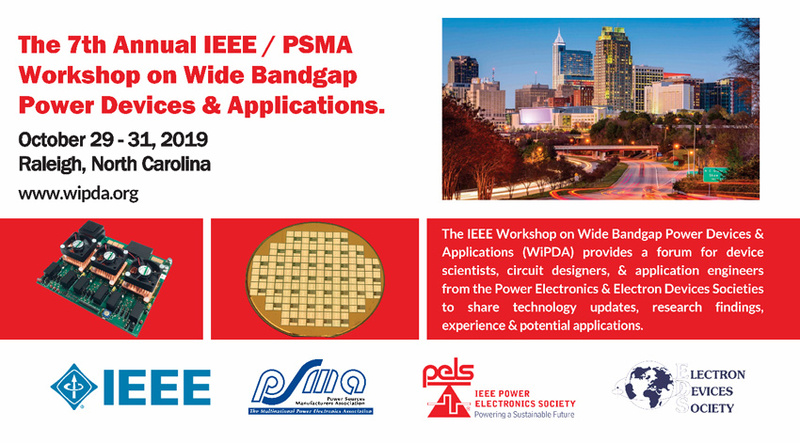 he Power Sources Manufacturers Association (PSMA) and the IEEE Power Electronics Society (IEEE PELS) are jointly sponsoring an all-day workshop titled, "The Impact of Wideband Technologies on Application of Capacitors–A Deep Dive on Capacitor Technology," on Saturday, March 16, 2019, the day before the start of and in the same venue as APEC 2019 at the Anaheim Convention Center in Anaheim, CA. Less than 5 weeks left to get ready for this workshop. Are you already registered and prepared for a whole day workshop with lots of facts and valuable content about state-of-the-art and future capacitor technologies? This workshop follows the successful inaugural event held in San Antonio, TX, prior to the start of APEC 2018. This day-long workshop will consist of morning and afternoon technical lecture presentation sessions and a lunchtime interactive technology demonstration session. Navitas Semiconductor will open the morning session with a keynote presentation on GaN technologies and its requirements on capacitors. Market-leading capacitor suppliers including KEMET, CDE, Panasonic, Faratronic and Wurth Electronics together with preeminent lecturers from universities around the world including UC Berkeley and the University of Nottingham will discuss technical options and alternatives to meet the challenging requirements. The "Technology Demonstrations" will be coincident with the luncheon period and will include interactive technology displays and/or presentations each addressing specific technical disciplines and capabilities consistent with the workshop agenda. The technical demonstrations will also be available during breakfast prior to the opening session and during the networking session at the end of the day's events will enhance the areas covered in the lecture presentations and provide an opportunity to interact and provide more detail and insight into the technology discussed during the lecture presentations. Don't miss the opportunity to meet face to face with professionals who will directly address your questions. Whether you are a young design engineer or technician or already highly experienced with DC-DC converters, frequency drives, inverters and other power conversion applications in the industry, you will get facts, background and latest news on capacitors and emerging technologies to push the performance of your products. The workshop agenda addresses application-based challenges on capacitor technologies rising from the introduction of GaN and SiC topologies, the impact of e-mobility and insights into the latest capacitor developments. The impact of market shortages of specific capacitor products on new developments and possible alternative solutions to overcome actual problems will also be discussed. The latest information on agenda as well as registration information for the workshop will continue to be available on the PSMA website at: http://www.psma.com/technical-forums/capacitor/workshop. Make your reservation right away to be a part of this exclusive whole day workshop. egistration is now open for the PSMA sponsored International Workshop on Integrated Power Packaging (IWIPP) which is a biennial event dedicated to advancing the state-of-the-art in power semiconductor packaging. Many experts believe that the development of packaging technology has not kept pace with recent advancements in power semiconductor technology, especially with the emergence of fast-switching wide band-gap (WBG) semiconductors. IWIPP is envisioned to foster and facilitate disruptive change in the development of power packaging technologies in order that the performance entitlement of the latest power semiconductors can be fully realized in practical power electronics applications. To this end, IWIPP seeks to bring together technical experts in the various engineering disciplines that intersect at the development of high-performance packaging for power semiconductors. 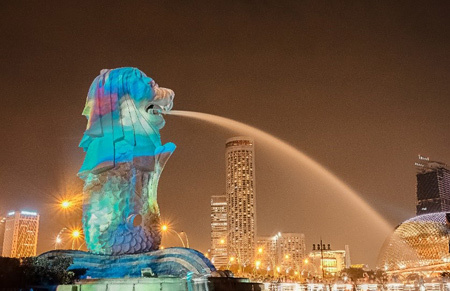 Due to this multi-disciplinary focus and the accelerating industry need, IWIPP is quickly becoming a premier international workshop that attracts leading researchers from around the globe to share ideas on these important topics. IWIPP 2019 will be held April 24-26, 2019, in Toulouse, a beautiful city on the banks of the River Garonne in southern France and the center of the European aerospace industry. The technical program for IWIPP 2019 has been finalized and is now available at http://iwipp.org/conference/at-a-glance-schedule/. This year's program includes an exciting set of industry-focused plenary addresses. The first plenary address will be given by Dr. Ahmed Elasser, Principal Systems Engineer at GE Global Research Center. Dr. Elasser's presentation will provide a historical overview of Silicon Carbide (SiC) power devices from the early days when wafer diameters were small and defects were common, to the current landscape with large wafers and many commercial product offerings. 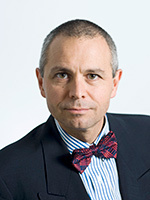 The second plenary address will be given by Dr. Christophe Lochot, Electrical System R&T Group Leader at Airbus Operations SAS. Dr. Lochot's presentation will provide a deep dive into some of the challenges associated with the use of power electronics in aircraft applications, including the trend toward development of the more electric aircraft (MEA). Two focused technical tutorials are also included in the workshop registration fee. 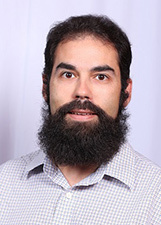 The first tutorial will be given by Dr. Ty McNutt, Director of Business Development at Wolfspeed, Inc. Dr. McNutt's tutorial will provide a detailed technical survey of SiC devices, packaging, and the optimization of power electronic systems through design. The second tutorial will be provided by Dr. Aaron Brovont, Assistant Professor of Electrical and Computer Engineering at The University of Alabama. Dr. Brovont's tutorial will provide an introductory- to intermediate-level treatment of techniques for modeling and analysis of conducted electro-magnetic interference (EMI) in power electronic systems. In addition, the program for IWIPP 2019 includes a set of detailed technical sessions provided by technical experts in both oral and poster presentation format. These presentations will cover a broad range of related and relevant topics, including magnetic and dielectric materials; power semiconductor devices and modules; integration of sensors; design of gate/base drivers, reliability and manufacturability considerations; electro-magnetic interference mitigation; and many more. Please make plans to attend IWIPP 2019 to enhance your understanding of the latest developments in the area of high-performance power packaging and the critical role of packaging in determining the performance and reliability of power electronics applications. Registration is now open, and early registration discounts are available until March 3, 2019. Additional information about the workshop is available at https://iwipp.org/. 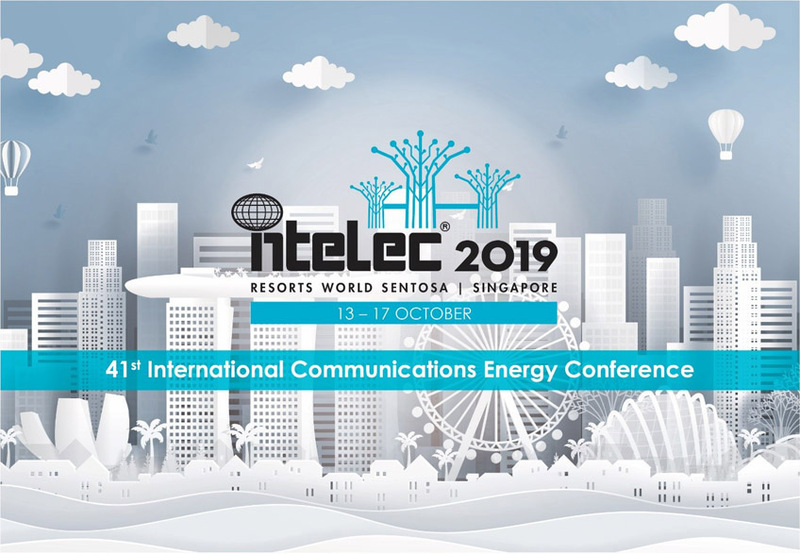 or 40 years, IEEE's INTELEC® (International Communications Energy Conference) has been the premier international technical forum where the science and engineering of energy systems for communications networks is canvassed amongst academia, industry and infrastructure operators. s part of my design activities at Spangler Prototype Inc., and as a member of the Safety and Compliance Committee of the Power Sources Manufacturers Association (PSMA), I [James Spangler] was gathering the needed information for future products. These are power supplies that have an EMI filter between the ac line and the switcher. Initially, I had not considered ac power line or lightning transients, so I looked at the PSMA Safety and Compliance website for transients. I reviewed two IEEE standards: IEEE Std C62.41.2-2002 and IEEE Std C62.45-2002. These IEEE standards talk about the voltage spikes, waveforms and surge voltage values that are part of the lightning surges. There are three different types of transient voltages: 100-kHz ring wave, combination wave open circuit (front time=1.2 µs and duration=50 µs), and combination wave short circuit (front time = 8 µs and duration = 20 µs). Besides the transients produced by lightning, there are other ac line transients to consider. For example, there are transients generated when the utility switches from other feed lines to supply power during electrical power outages. There are also transients generated when high-voltage ac power lines are grounded from falling trees caused by high winds that cause the lines to touch the earth ground. It is believed that the above IEEE standards consider these events with the various transient waveforms. But there are other standards as well. So, I did a literature search to understand what standards including the IEEE and IEC affect how power supplies protect against such ac line transients. In the process, I gained some perspective on how these requirements were developed. The results of that search are shared in this article. With that information as background, I then look at the protection elements that are typically in place in ac- dc power supplies. Most of these elements are implemented within the front end section of the power supply that contains the EMI filter. The EMI filter prevents noise generated by the switching action of the power supply from radiating back into the ac mains. But the EMI filter is a passive element and it works in both directions. So, in addition to suppressing noise coming out of the power supply, the EMI filter also protects the power supply from ac line transients. It's important for power supply designers and users to understand first, how the EMI filter provides this transient protection, and second, whether any changes or additions to this protection are required to meet the regulatory requirements. After dissecting the various protection elements found in the EMI filter, I'll discuss some test circuits that can be used to gauge transient protection performance of a power supply's EMI filter. Before beginning the discussion about standards, it's necessary to clarify differences in the roles of certain organizations and distinctions between standards, regulations, and the actual product requirements. First of all, governmental bodies like Federal Communication Commission (FCC), United States Department of Energy (DoE), and California Energy Commission (CEC) are the ones that have mandatory regulations. Other bodies like Underwriters' Laboratories (UL), American National Standards Institute (ANSI), National Electrical Manufactures Association (NEMA), International Electrotechnical Commission (IEC), etc. produce standards that are guidelines, unless stated by the governmental regulating bodies like the DoE as required in their regulation. However, it is often the end customer (the purchasing customer) that specifies which standards (IEC, UL, or other) the power supply must meet. The earliest literature I found on ac line transients was from Bell Labs, this was listed in the application note TND335/D reference from ON Semiconductor. The Bell Labs paper was published in March 1961 as it was related to telephone lines. My best source of ac line voltage transient information is from the GE "transient voltage suppression manual, second edition". When a product is able to survive ac line transients, the product is more reliable; the consumers and owners of the products are satisfied. The information in the GE manual was used to help understand how to protect capacitive drop power supplies for ac-powered smoke detectors and electronic fluorescent lamp ballasts so that they survive ac line transients. The generator can produce 6000-V peaks and was used up to 10,000 Vdc for some worst-case test, which was the limit of the tester. This testing occurred during the 1978 to 1980 timeframe. Note that at 10,000 V, any structural wiring that falls within installation categories I through IV, starts to break down, so it's not of much value to design above 10 kV. 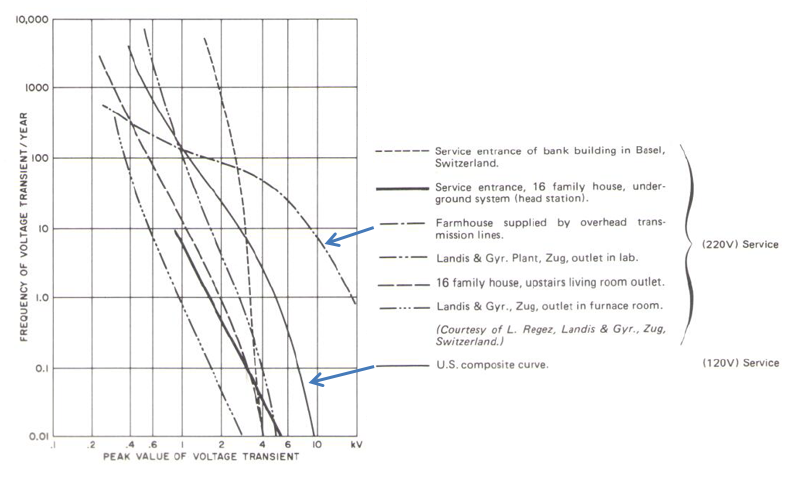 But returning to GE's transient voltage suppression manual, (see Fig. 1), we see that it not only provided data on transient lightning strikes; it also provided guidance on what level of circuit protection was needed in the targeted appliances. On page 5 of the manual, it states that "devices (products) that have a 2-kV withstand capability will have a poor service life in an unprotected residential environment. Prudent design will aim for a 3-kV capability. Where safety is of the utmost concern, design for 6 kV that can cope with these rare possible occurrences. The flashover for typical wiring spacing is between 6 kV and 8 kV." (I assume this to be the wall socket). Looking closer at the graph in Fig. 1, there is a probability that a U.S. household can expect to experience a single 5-kV transient once a year. The first curve points to rural areas with overhead power lines, which could possibly experience a single 18-kV pulse due to lightning. The second curve is the U.S. 120-Vac composite curve. The graph also shows other curves that could be used to gauge the vulnerability of other types of installations to lightning transients. The data in the graph was collected in the 1970s, and at that time many products did not experience failures because the power supply consisted of an isolation transformer and linear regulator, which are believed to reduce and absorb much of the transient energy. The transformer construction used silicon steel laminations with copper wire that could limit the secondary current. In addition, the aluminum electrolytic capacitor could absorb energy. The linear pass regulator kept the transient voltage sufficiently low, so the control electronics did not see high voltages that could cause failure. Fast forward to the present day and we can look to the IEC 60664-1 standard. According to Mark Cantrell of Analog Devices this standard indicates that the IEC transients stop at 12 kV for the low voltage mains. In a recent edition of this Spotlight on Safety and Compliance the following Fig. 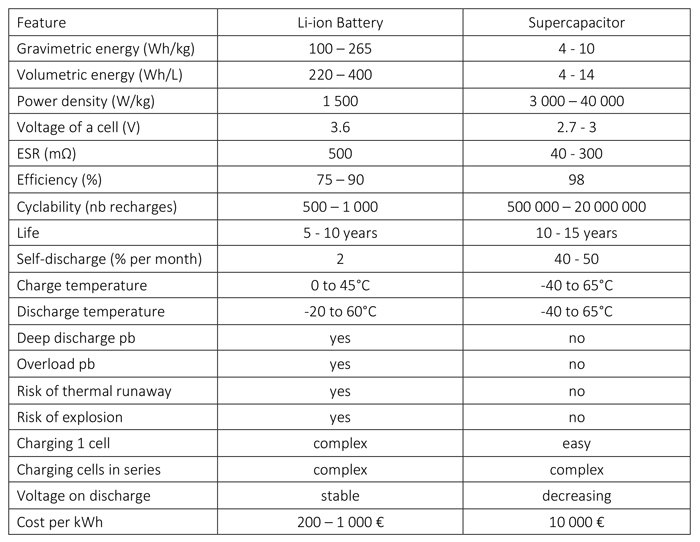 2 and Table 1 was published, which defined how the IEC views transients. Another version of this data is shown in Table 2 which is presented slightly differently than the data presented by Vishay's Application Note 43. Scott Aldous presented the data shown in Table 2. (Permission was received from the IEC to use this table). It can be argued that the old GE Manual and the newer IEC 60664-1 are in agreement. Francois Martzloff , of GE published "A Guideline on Surge Voltages in AC Power Circuits Rated up to 600V" in 1979 which agreed with the figures cited above along with other information for an 1978 IEEE PES meeting. F. Martzloff gave the same data used Fig. 1 in his presentation along with other information not presented here. Table 1. 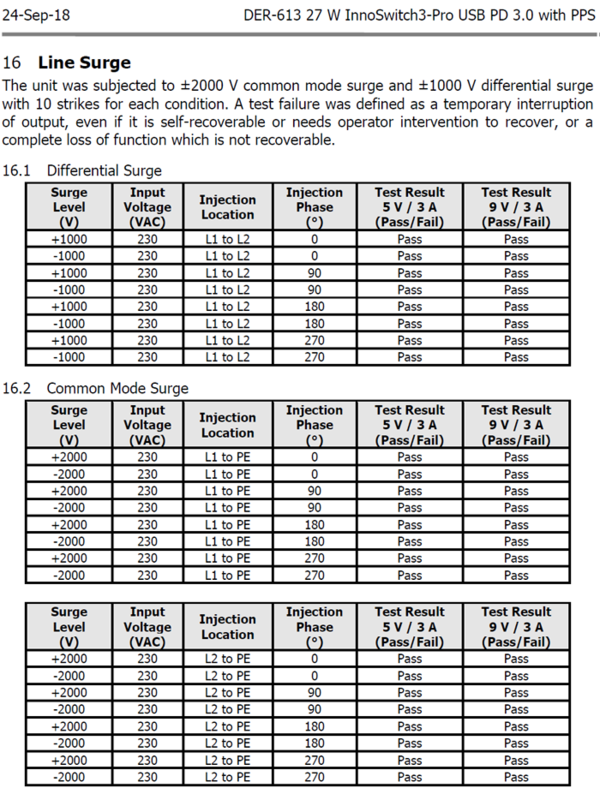 IEC 664 table of impulse withstand voltages as presented in Vishay Application Note 43. Most appliances and computer equipment fall within Category II while some appliances like cooking ranges are in Category III. 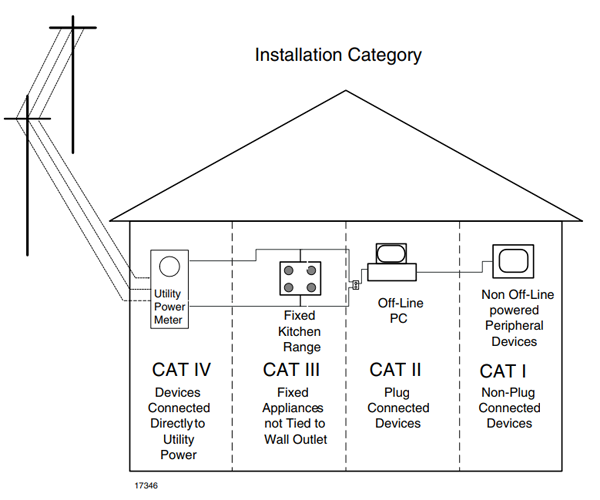 A smart meter for utility reading applications belongs in Category IV due to its direct connection to the utility mains. In some applications both an IEC-664, and IEC 60664 insulation category along with a UL 1577 rating is needed. This all depends on the safety agency defining the test and the end application. Today the linear regulator power supply system has been replaced with an electronic switch mode power supply. The lightning transients are still present as shown in Fig. 1. The devices that limit the transients are discussed below. Today most of the power supplies are of the switch-mode type with an ac-dc section as shown in Fig. 3. This figure will be used to discuss the elements that suppress transient voltages and limit the surge current that can destroy the control electronics in a piece of equipment and cause a product failure. The earth ground is not shown in the example since most of the lightning and transient voltage and current flow on the ac hot and ac neutral. It is true, however, that if there is a lightning strike near a building, there can be a rise in ground voltage. But in many cases, the ground rise voltage will also be on the neutral since both the neutral and earth ground (safety) are tied together at the service panel. Fig. 3. The front end of a power supply. When there is a voltage transient on the ac supply lines, in most cases, the first device providing protection is the metal oxide varistor[5,16,17] (MOV). An exception to this would be if the control electronics are part of a medical device. In that case, the first item might be a gas discharge tube or spark gap (not shown). In Fig. 3, we see that there are three devices in parallel that can limit the lightning or voltage transient—the MOV, an X rated class capacitor, and a common-mode choke. The breakdown or clamping voltage of the MOV is normally 1.5 times the peak of the ac line voltage. The breakdown voltage for an MOV is specified when a 1-mAdc current flows through the device. Both Littelfuse and Vishay have application notes on the selection of the voltage for varistors. C1 is an X class capacitor specified for ac line operation. Both MOVs and gas discharge tubes take time to operate, so downstream elements like the common-mode choke, C2 and C3 need to be able to absorb energy. Included is the resistance of the power leads from the service panel or fuse box to the product and the hot resistance of the NTC surge limiting thermistor for limiting surge currents during transients and turn-on power. The resistance and capacitance of the building electrical supply distribution system is built-in and assumed in the IEC-specified Installation Classes for the equipment. This reduces the peak energy of the power line disturbance. For example, a utility watt-hour meter (Smart-Meter) that is connected upstream of the panel would need a reinforced transient rating for a 120- to 240-Vrms single-phase line of 6000 Vpeak. This is Installation Class IV. 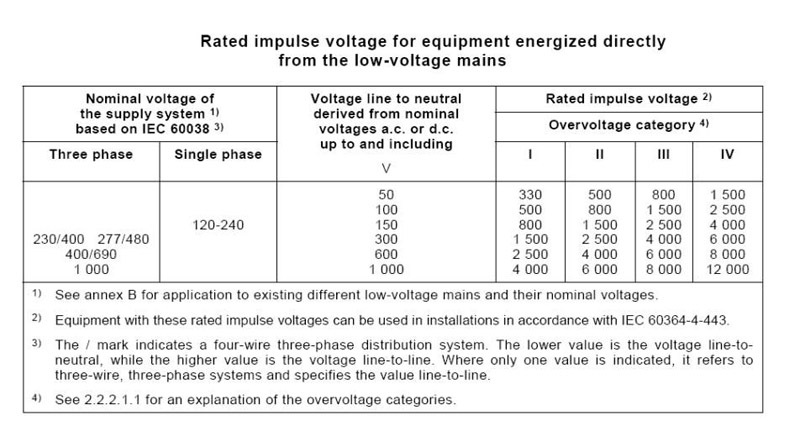 But a device plugged into an outlet within the building, which is Installation Class II, would need to be rated for 2500 V. The evaluation of the EMI input filter and protection should be near 2500 Vpeak and not reduced further by line impedance, per Tables 1 and 2 above. The supply wiring resistance can be considered small but this resistance limits the current if there is a 6-kV to 8-kV power type transient. The longer the line and the smaller the wire diameter the greater the limiting effect. In many Smart-Meter applications, there is a gas discharge tube which can be used to limit the voltage. A Smart-Meter (utility watt-hour meter) is installed prior to the service panel and is considered an Installation Category IV. Gas discharge tubes (GDTs) have a follow-on current until the next ac zero crossing of a transient. This may cause a nuisance blowing of the fuse. If a GDT is used, the fuse should be a user-replaceable type. The common-mode choke is the next device that helps limit the lightning transients. Besides the mutual inductance, there are leakage inductances on each leg. The leakage inductance (shown as a dashed line in Figs. 3 and 4) can be a single device or split into two devices. The leakage inductance is a differential-mode inductance. Some designs have separate inductors. The coil resistance of the common-mode filter is very important and serves two purposes: first is to help limit some of the transient surge current, and second is to limit the inrush current when the ac power is first applied. The full bridge diodes have a peak surge current rating and the coil resistance helps limit the inrush current seen by the diodes. In cost-sensitive designs, the common-mode choke resistance can eliminate a special negative temperature coefficient NTC resistor to protect the diodes in the full-wave bridge from inrush surge current. The capacitors C2 and C3 absorb voltages that are not stopped by the other elements. C2 is an X rated class capacitor placed across the ac line. The rise time of the voltage is reduced by the combination of inductance of the common-mode filter, C1, C2, and C3. The slower surge rise time, which is lower in frequency, and is rectified by the bridge rectifier, causes the voltage on C3 to rise. The rise above the normal depends on the capacitance value of C3. A power factor correction (PFC) circuit can be inserted between the bridge rectifier and the power supply box shown in Fig 3. In 1978 during the development of the electronic fluorescent lamp ballast, lightning surge testing was performed on a number of designs using the voltage transient test circuit described in UL 217. All of the designs tested had an EMI filter and a PFC circuit. The EMI filter was required in order to pass the FCC Part 15 and Part 18 specifications. All of the systems survived the testing without any apparent damage to the power switches. Two additional pieces of information might be of interest; both of these are shown in Fig. 4. The first item is a pc board slot to prevent arching over the board surface. In compact, small power supplies like those used in USB cell phone chargers, slots are being used to add spacing between components to meet isolation voltage requirements. In electronic ballast designs, the board had a conformal coating, which allowed closer spacing of input components and no slots were used. If the capacitance values of C1 and C2 are large, they may hold a charge and be a source of a shock hazard. These parts need to be discharged so the consumer does not receive an electrical shock if they happened to touch the power cord plug blades. One solution is to add a newer component from Power Integrations called a CAPZero as shown in Fig. 4. Fig. 4. PC board slot and discharge of C1 and C2. In writing this article a quick search was made for application circuits that test for transients. Power Integrations has published a number of circuits with construction techniques, line conducted EMI test results, and line surge testing. 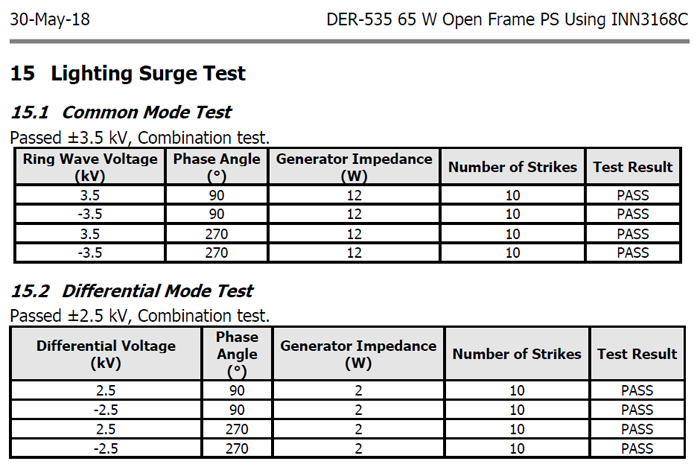 Please review the Power Integrations information given on page 49 of DER-535, which shows a lighting surge test for a 65-W power supply design. An EMI line conducted test is also in the document. The test results are repeated here in Table 3. Table 3. Lightning Surge Test for DER-535 application board. In addition, look at DER-613 on page 87 for details on line surge testing of a 27-W USB charger design. Test results are repeated here in Table 4. This document also shows EMI line conducted test results. All switching power supplies have some sort of EMI filter. This filter is a passive filter and is bidirectional. The EMI filter prevents noise from escaping from the power supply and prevents various power line surges from entering the power supply. Table 4. Line Surge test results for the DER 613 applications board. There are two IEEE standards that should be reviewed: IEEE Std C62.41.2-2002 and IEEE Std C62.45-2002. These IEEE standards talk about the waveforms and transient voltage surge values. There is another document: IEC 61000-4-5, that describes similar ac power line transient tests. It is important to test your power supply with the EMI filter in place. Test the power supply system for transients and surges to see what level the unit passes before making changes to your circuit. You may be surprised that the EMI filter did all the work and no additional components were needed to pass the voltages of 4 kV peak. I wish to thank Dave Pacholok for his assistance, providing several references, and a review of this article. IEEE C62.41.2-2002 - IEEE Recommended Practice on Characterization of Surges in Low-Voltage (1000 V and less) AC Power Circuits. "Lightning Surges in Paired Telephone Cable Facilities" by D.W. Bodle and P.A. Gresh, The Bell System Technical Journal, Vol. 4, March 1961, pp. 547-576 (available from IEEE on request). "Transient Overvoltage Protection", TND335/D, On Semiconductor, April 2008. Transient Voltage Suppression Manual. 2ed, copyright 1978, GE Technical Information Exchange, Schenectady, NY 12301. Mark Cantrell, phone conversations Aug, Sept, and Dec. of 2018. "Isolation Standards Say Little About Isolator Performance" by James Spangler and Kevin Parmenter, How2Power Today, September 2018. "Product Safety Considerations for Insulation Coordination of Low-Voltage Equipment" by Scott Aldous, Advance Energy. "A Guideline on Surge Voltages in AC Power Circuits Rated up to 600 V" by Francois Martloff, General Electric Company, Schenectady NY, Proceedings, 3rd International Symposium on Electromagnetic Compatibility, Rotterdam 1979. UL 1577 Standard for Optical Isolators. "Selecting a Littelfuse Varistor," Application Note AN9771.1, July 1999. "The ABCs of MOVs-Littelfuse," Application Note 9311. IEC-61000-4-5 › Electromagnetic compatibility (EMC) - Part 4-5: Testing and measurement techniques - Surge immunity test. Editor's Note: This article was first published in the December 2018 issue of How2PowerToday (http://www.how2power.com/newsletters/index.php). incoln International will be pleased to present you with the latest Solar Energy Stock Index. Please check back soon.